A Norwich education has opened the door to non-profit work that was otherwise closed to me. Leadership is key to strong communities. Unlock your ability to serve. The need for strong public servants in government agencies, Non-Governmental Organizations (NGOs), and not-for-profits is greater than ever. That’s where Norwich University’s online Master of Public Administration can help. Our program is designed to help you develop the skills you need to build better cities and towns, stronger government, and more successful not-for-profits. Our online Master of Public Administration delivers our tradition of values-based education on a flexible online platform while connecting you with professionals from around the world. With Norwich, you can develop the key public administration skills you need to effectively manage in a demanding and evolving system. 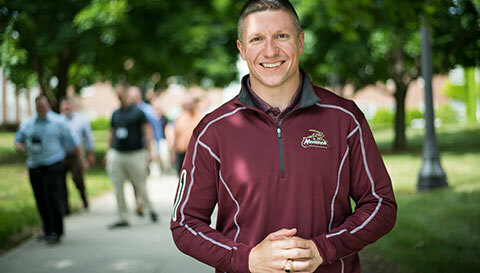 The mission of the Master of Public Administration (MPA) program at Norwich University is to prepare and support diversified adult learners who are military and non-military, to become knowledgeable, innovative public sector leaders. The MPA program develops leadership characteristics driven by fundamental public administration values, including those that are at the core of Norwich’s history and tradition, and a commitment to public service. Norwich MPA faculty members are academically and professionally prepared to advance the mission with practitioner-oriented educational experiences available through state-of-the art, on-line course delivery and external partnerships. Culminating experiences include a capstone project, portfolio development and a residential conference, which complement the MPA online delivery method and provide the opportunity for problem solving, a retrospective on coursework, face-to-face collaboration and networking, and public service projects. (Adopted January 22, 2016, Updated April 4, 2018). Click here to view the program's Diversity Philosophy and Strategy. Tailor your studies based on your career goals and personal interests with nine concentration options. Build your exit portfolio, which is designed to show your skills, competency and application of program concepts to real-world challenges. Learn from a faculty that includes former and current leaders in the military, and heads of city, state, and federal departments; criminal justice organizations; and nonprofits as well as respected researchers and scholars. Benefit from enhanced classroom experiences and practical learning, including a partnership with The MITRE Corporation. Join a university with a long tradition of public service education and leadership. *Rankings are based on undergraduate programs and on students who received the average level of need-based financial aid. Help us learn more about your experience and see if you qualify for the Master of Public Administration program. Norwich’s online MPA program curriculum is composed of six courses, each of which is delivered over 11 weeks for a total of 36 credit hours. Students master one course at a time, to create a strong foundation of knowledge and context for future topics. Implement solutions to real-world administrative challenges immediately. Demonstrate a broad foundation in areas such as organizational leadership and change, strategic planning, ethics, and financial management and data analysis. Apply sharpened critical thinking and writing skills. Leverage critical leadership skills that build the foundation for public administration in nearly any sector. Students will complete the following three courses prior to choosing a concentration. Students choosing the Policy Analysis and Analytics concentration only complete Foundations of Public Administration & Policy (AD511). This course introduces students to public administration in the United States. The course focuses on governance, inter-governmental relationships, organizational theory, policies, and strategic planning as affected by fiscal constraints, public needs, social change, and politics. Students are introduced to the role of leadership, the necessity for professional ethics and accountability, and personal competence. Students also begin the program-long requirement of developing their skills of critical analysis, research, integration of information, and effective writing. This course reviews major research method designs and their application to policy development and evaluation. Students are also exposed to statistical techniques commonly found in public administration and social science research from the perspective of managerial control and application of research design/program evaluation. Particular focus is placed on quality assurance and best-evidence management. This course explores three areas of public administration: the legal environment of the public organization, human resources, and organizational leadership. The first section of the course focuses on creating agency authority, public participation, civil liability, employment law, and due process. The second section focuses on selecting and retaining quality employees and managers, evaluations, coaching, and training. The third section focuses on strategic leadership, organizational analysis and culture, managing conflict, and organizational vision and change. After completion of the core curriculum, students focus their studies on a concentration of their choice. Our criminal justice and public safety concentration is designed to help you develop the skills you need to pursue or further your career in law enforcement or even transition into another area of public service. Explore the best practices of law enforcement agencies, corrections administration, and public safety management. This course examines law enforcement best practices, police leadership, workforce development, accountability, internal affairs, productivity, and the management of special units. Students will also study the role of community policy, community policing, restorative justice programs, crime prevention, and the role of technology, integrated justice systems, and information system security. This course examines administration in the corrections environment. Topics include personnel management, budgeting and public finance, workforce development, staffing, special units, correctional policy development, and planning. The roles of technology and integrated justice systems are examined, as well as information system security. This course explores public administration within the scope of critical incidents and crisis management. Topics include domestic terrorism and counterterrorism, the roles of the National Incident Management System and the National Response Framework, best practices for first responders, and constitutional issues related to the execution of first responder duties. Students will also study the use of specially trained and equipped units such as SWAT teams, and the roles of community policing and community partnerships in responding to crises, whether manmade or natural. Fiscal intelligence is essential in public administration, which is why our fiscal management concentration covers key topics necessary to balance budgets, analyze financial performances, and develop your financial decision-making skills. The College of Graduate and Continuing Studies at Norwich University is proud to partner with FPS, a leading provider of practical, high-quality courses and materials for government contract professionals. The purpose of this relationship is to provide students from FPS academic credit towards completing their master's degree at Norwich. This course explores the legal and regulatory foundation of financial reporting and accountability for public organizations. Topics include development of transactions, enactment of appropriations, and incurrence of obligations or encumbrances. Other topics include financial reporting, analysis of governmental financial performance, costing of government services, and auditing governmental organizations. Students will be provided with the current study guides published by the Association of Government Accountants' Certified Government Financial Manager, designed specifically to prepare professionals and students for the CGFM certification examination. This course introduces students to four major areas of financial concern: preparation of budgets, creating management strategies for the organization based on the principles of strategic financial management, obtaining financial resources by issuing bonds and levying taxes, and managing cash and employee retirement funds. Students will also examine contemporary perspectives on professional ethics and ethical behavior of leaders in the public sector, particularly in regard to their fiduciary responsibility in investing and managing public funds. Develop the skills you need to influence the international stage. Explore global economics, human rights issues, sustainability, international law, foreign policy, and international security. This course introduces students to the political and historical background of U.S. efforts to foster development in developing countries, and the cultural, economic and legal factors involved in planning and engaging in economic and infrastructural development in these areas. Particular focus will be placed on the value and role of analytical research, identifying stakeholders, understanding the role of non-governmental organizations and assessing the social, cultural, and political context of the areas of development. This course builds on the materials presented in AD564 International Development & Influence I. Students will be introduced to the role development as a means of furthering democratic principles and U.S. foreign policy. Particular focus will be placed on the problems and challenges presented by conflicts, corruption and poor governance in areas of development, strategic planning, security analysis, management of information public works and other infrastructural projects, and how the developing organizations should integrate or coordinate their efforts with other actors in the area. Finally, students will be familiarized with the process of an organizational needs assessment as a necessary step in planning international development. Build the financial and managerial skills necessary to effectively run and positively impact local governments. Students first complete Municipal Governance (AD543) followed by choosing one elective from the course list below. This course introduces students to the work of local government managers in the United States. The core of the course is the study of best practices for municipal leadership, including the challenges of providing direction to a wide scope of departments and agencies necessary to serve the needs of communities. Students will also study how to create and maintain intergovernmental relationships and form partnerships with elected officials; staff employees such as directors, managers, and department heads; private sector businesses; bargaining units; citizens; and representatives of the media. This course explores the role of the public service leader, divisions and sectors within the rural municipality, organizing stakeholder collaborations, and developing an action plan in support of accountability, good governance, and improvement of quality of life. Specifically, discussions will examine interdisciplinary and multidisciplinary cultural competence and effective leadership skills uniquely identified in rural communities as well as exploration of key issues affecting education, economic development, water supply, sewer systems, internet and broadband access, housing, health care access, and mental health status of those living in rural counties and towns. This course introduces students to the public administrator in their role as an elected public service leader committed to identifying, examining, and working collaboratively toward effectively improving municipal services and the quality of life for constituents living in urban America. Particular focus will be placed on multidisciplinary collaborations and action plan development through discussions and reflections of key issues including the unique needs affecting public safety, emergency management, medical services, animal control, and public and mental health concerns. In addition, discussions will further examine the public administrator’s responsibilities surrounding civic engagement, waste-water, storm water, street maintenance, solid waste collection and disposal, forestry, and parks and recreation. This concentration is for those who are interested in focusing on nonprofit management and specifically developing skills to lead within the nonprofit sector. Among the topics to be covered are strategic planning, fundraising, stakeholder engagement, governance and performance management. Students first complete Leading the Nonprofit Organization (AD542) followed by choosing one elective from the course list below. This course explores the broad scope of leadership responsibilities challenging senior leaders within the nonprofit sector. Among the topics to be studied are strategic planning, fundraising, stakeholder engagement, governance, marketing, and performance management. Students will also examine trends in social entrepreneurship and the use of technology, such as social media, that are transforming the field. The course focuses on developing flexible leadership skills that can be applied in a variety of settings, across the life cycle of both small and large scale nonprofit organizations. This course of study focuses on the administration and management of tax-exempt organizations that derive their funding and mandates from individuals, foundations, and governmental sources. Topics include the legal framework of nonprofit organizations, organizational design, fiscal management, fundraising, grants, contracts, assessment and planning. Students will study best practices for leadership and management, nonprofit governance, and the effective use of volunteers. Finally, students will review the role of technology with special attention to information integration and assurance. This course emphasizes a workforce focus for professional and volunteer staff management in the nonprofit organization. Topics covered include nonprofit law, ethics, risk management, leadership, and governance excellence in nonprofit organizations. The course focuses heavily on competencies and the knowledge, skills, and abilities needed by senior managers with major responsibilities for human resource development and management, board and committee development, volunteer resource management, ethics and ethical behavior, organizational core values, diversity awareness, and legal and risk management. This course focuses heavily on the competencies and knowledge, skills, and abilities needed by senior managers with major responsibilities in such areas as: financial management, accounting, economics, fundraising, grant writing, mission-focused information technology, and knowledge management for nonprofit organizations. This course is ideal for those in roles such as Chief Executive Officer/President, Executive Director, Chief Operating Officer, Chief Financial Officer, General Manager, Director of Operations, Director of Administration, Executive Vice President, Vice President, Deputy Executive Director, Director of Development, and Fundraising Manager. Course objectives and learning outcomes emphasize professional and managerial competencies associated with managing efficient, resource-conservative nonprofits. This course focuses heavily on competencies and skills needed by senior health care managers with major responsibilities in such areas as the administrative aspects of managing a nonprofit, nongovernmental organization that is focused on health care delivery, system delivery and evaluation. The course addresses all of the competencies outlined in the NCHL Health Leadership model, including: transformation, execution, and people. Prepare to successfully manage municipalities, statehouses, or agencies with our public works and sustainability concentration. Develop your communication and decision-making skills, while building your network with professionals across the U.S. This course focuses on political, technological, and operational issues in the areas of public utilities, water resources, waste management, transportation, facilities and structures, and parks and grounds. Topics include historical development, technological advances, best practices for leadership and management, public works policy, communication challenges, public affairs, environmental enforcement, and emergency management. This course focuses on local, state, regional, and national master public works planning, contract administration, and project management. It addresses multiyear financing of public works projects, environmental impact, and other cost-benefit analyses, decision making-modeling, multijurisdictional services, and public-private joint ventures. This course introduces students to the principles and strategies of sustainability as it applies to public works services in the community. Specifically, the course will present students with a study of: 1) the connections between the environment and mankind, 2) how air and water pollution affect public health, 3) the impact to the economy when water and transportation policies are not well thought out, 4) the importance of using long-term economic models in public policy decision making, 5) learning how to think in a holistic manner, 6) the attributes of a sustainable work culture, and 7) how to build community support for a sustainable program. Our policy analysis and analytics concentration is designed for professionals interested in the planning and implementation of policies as a public administration leader. Our curriculum allows you to analyze critical data, build you decision-making skills, and utilize real-world software such as SPSS, SAS, R, and Python to perform data analysis. Students will take all five courses listed below and will complete their capstone and exit portfolio within the concentration. The College of Graduate and Continuing Studies at Norwich University is proud to work with The MITRE Corporation, a not-for-profit company that manages multiple research and development centers for the federal government. The purpose of this relationship is to build and enhance the policy analysis and analytics courses and experiences of the students by allowing them to work on problems and issues of interest to MITRE and its government sponsors. Politics, policy, and planning are essential to core policy action learning. This is most prevalent in the private and public spheres of planning, analyzing, administering, and managing policies to redress pressing social issues. This course is designed to introduce students to the impact of politics and action learning on the policy-making process. Students will also explore the basics of policy analysis, policy action, and the interdependence of policy learning and action planning. This course provides a corresponding virtual learning lab to apply research methods of policy statistics for planning, analyzing, and resolving policy issues using real-time policy data sets. Through the lab, students will start with simple data analysis tools such as Excel and move to exploring SPSS. Policy-related research investigates questions of structure, process, and outcomes related to the organization and delivery of services funded by public and nonprofit sources. Policy problem identification and analysis require an in-depth understanding of the complex policy issues in society and relevant methods of policy analysis as tools for tackling the multifaceted policy cases. This course explores in greater depths the methods of policy analysis. This includes looking at crosscutting research strategies, identifying and gathering data, data analysis, establishing evaluation criteria, and identifying alternatives. Some of the basic elements of chi-square test, hypothesis testing and confidence intervals, projections techniques versus causal prediction, and methods of projection analysis of historical data are examined. This course examines the formulation of policy, the iterative process, the complexity of joint theories, along with the relationship between policy, implementation, planning and design. Topics explored include policy formulation, explaining behavior, forecasting effects, policy adoption and evaluation of policy. Through this course, students will learn to analyze the complexity of the public process. They will also examine the concepts of ethics, equity, diversity, and justice as it relates to the policy-making process. Additionally, they will look at how the budgetary process impacts planning and forecasting activities and functions at the agency level. After completing this course, students will be able to begin analyzing data and drafting implementation plans with the understanding that there will be multiple iterations. This course examines and uses the key concepts, tools, and techniques found in scientific research, design, implementation, and evaluation of policy data analysis. The course addresses various methods needed to present data using data analytic application techniques such as Excel, Dedoose, SPSS, and R. Students will learn to analyze and make recommendations on planning and policy issues at the federal, state, regional, and urban government level, as well as the nonprofit sector and sociopolitical environment based upon the implementation of data analytical tools. This course introduces students to fundamental finance and economic theories, and explains how these concepts are utilized in public sector decision making. The core of the course is the study of best practices for financial, economic, and decisive leadership, including the challenges of providing such direction to a wide scope of departments and agencies. Students evaluate key financial, economic, and decision making principles and strategies. This understanding should help enable public sector leaders to make decisions based on rational analysis as well as thoughtful consideration of financial issues pertaining to the current state of the economy, both domestic and global. Develop the skills you need to be at your best during a crisis situation and learn to lead at every level. Build your management, financial, and communication skills, explore ethical decision-making, and learn how to design and implement large-scale action plans. This course introduces students to the fundamentals of management and leadership in public administration. The course explores major models of leadership from theoretical, ethical, and practical perspectives. You will gain an understanding of major leadership theories by examining the basis of each theory, evaluating their strengths and weaknesses, and learning how to apply the theory to practical situations in public administration and nonprofit settings. These activities enable students to reflect on how they perceive leadership from both a subordinate and leadership perspective. By the end of this course, students will have developed a thorough understanding of leadership concepts, and will learn how to apply them in their own leadership situations. This course explores the role of leadership in public organizations by examining how leadership is intrinsically tied to the organization. Students will gain an understanding of how effective leaders articulate their leadership philosophy, how they embody the ideals and values of the organization, and how they motivate and reward their subordinates. The course also examines the role of leadership in crisis situations including how decisions are made and implemented, how information is communicated in critical situations, how political leaders are held accountable for crisis situations, and how communities can be returned to a state of normalcy after a critical incident has occurred. The concentration focuses on the methods and processess of procurement and contract management at all levels of government managemen - federal, state, and local. This course examines the scope, methods and processes of forming contracts between public and private parties for the purpose of accomplishing the missions of governmental agencies at the international, federal, state/provincial and local levels. It is designed for individuals considering a career in public administration, persons employed in government agencies, public procurement personnel wishing to enhance their knowledge, and suppliers or citizens interested in learning more about the formulation of government contracts. Subject and foundational areas such as planning, ethics, and of the legal basis of the public procurement function will be explored. 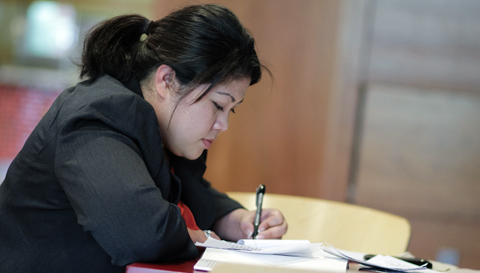 Students study the concepts of contract management beginning with crafting the Request for Proposal (RFP) through contract negotiations, award, and management. Students gain knowledge of government contract management from both the government and the private sector (industry) perspective including all fields of procurement. Students in most of the concentrations will enroll in this capstone course as their sixth and final course of the program, and be assessed on an exit portfolio that consists of written work completed throughout the course of the program. Students in the Policy Analysis and Analytics concentration will complete their capstone work and exit portfolio within their concentration. This final core course offers students the opportunity to apply their learning in two tangible ways: the preparation of a capstone paper/project that offers a practical or theoretical solution to a program, operation, or policy; and the writing of a paper suitable for publication in a professional journal. Our online Master of Public Administration program ends in a residency at the historic Norwich University campus in Vermont. During this time you will have the opportunity to meet with fellow students, faculty, and program staff in both formal classroom and informal settings. Academic recognition ceremonies and commencement cap off the week, and family and friends are encouraged to attend. Norwich covers the cost of all meals and accommodation on campus. Today’s public administrators must be strategic and flexible to respond to the needs of their communities, navigate complex ethical and legal issues, and operate within increasingly limited budgets. Luckily, these skills are well-compensated. The average mid-career Master of Public Administration holder earns $62,142 per year, and more than 20% of responding Norwich Master of Public Administration graduates earn more than $90,000*. A degree from Norwich’s online Master of Public Administration program can help you advance within your current organization or serve as the foundation for a variety of careers in nearly any sector. Tri County Community Action Programs Inc.
Read more about our MPA student outcomes. MPA alumnus named senior director of government relations. MPA student named the new fire chief in Foxboro, Mass. MPA alumnus re-elected to Grafton County New Hampshire seat. Alumnus named the special agent in charge at the FBI's Louisville Field Office. Our online Master of Public Administration gives you the opportunity to learn from a faculty of experts. Our faculty includes former and current leaders in the military, and heads of city, state, and federal departments; criminal justice organizations; and nonprofits as well as respected researchers and scholars in areas ranging from white-collar crime to public health policy. We have an in-house instructional design team that work hand-in-hand with program faculty and staff to ensure an efficient and interactive online learning experience in each course. A team of distinguished professionals from the industry and field offer their expertise and guidance as advisory board members for the Master of Public Administration program. 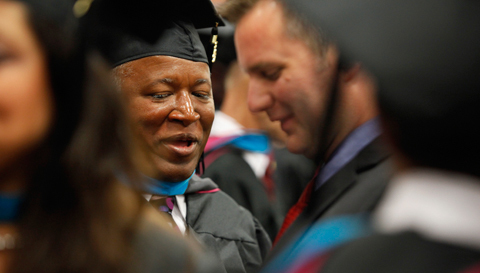 Get to know the graduates of Norwich's online Master of Public Administration program. The best part about Residency was learning the history and heritage of Norwich University and experiencing the landscape of Vermont. Using my research abilities and findings, I was immediately able to apply my capstone research to my work and personal interests. As a wellness ambassador for the State of Vermont, I have been able to use my research as a tool and motivator. The confidence that I have in my abilities, personally and professionally, grew exponentially as a result of my studies at Norwich. What courses can I take in the public administration program? Students can choose from a variety of courses specific to the field of public administration. Course topics include strategic planning, finance, organizational leadership, public policy development, and evaluation. Students can choose from one of eight concentrations: public works and sustainability, criminal justice and public safety, public administration leadership and crisis management, fiscal management, nonprofit management, municipal governance, policy analysis and analytics, procurement and government contract management, and international development and influence. Is there a thesis or capstone option? The final seminar offers students the opportunity to apply their learning in two tangible ways: the preparation of a capstone paper that offers a practical or theoretical solution to a program, operation, or policy; and the writing of a paper suitable for publication in a professional journal. How long is the public administration program? The program’s six courses (each six credits) take approximately 18 months to complete. Depending on when you start the program, you can expect your degree to be conferred in 18 to 24 months. Master of Public Administration alumni are employed by organizations such as the Air National Guard, Barnes ANGB, Catholic Charities, City of Houston, Department of Defense, United States Senate, USAID, and U.S. Navy. How are public administration program faculty members selected? All public administration program faculty members have advanced degrees (most are terminal) and are subject matter experts in public administration. They represent a wide variety of academic disciplines including: public administration, justice administration, philosophy, public affairs, criminology, education, law, and human services. They must demonstrate a wide range of university/college-level teaching experience and a history of leadership in academia, the private sector, or the public sector. If English was not the language of degree study, proof of English language proficiency and a minimum score of 550 (paper-based test) or 80 (Internet-based test (iBT)) on the TOEFL are required, unless otherwise noted in specific articulation agreements. How much will the online Master of Public Administration program cost? When you apply for admission to the Master of Public Administration program, you can submit transcripts and course outlines from previously attended institutions of higher education to be considered for transfer credits. Transfer credits will be evaluated on a case-by-case basis and may be accepted for up to 12 credits. Norwich complies with VA regulations and guidelines as they pertain to transfer credits.